This item was purchased by CoenBlaauw. 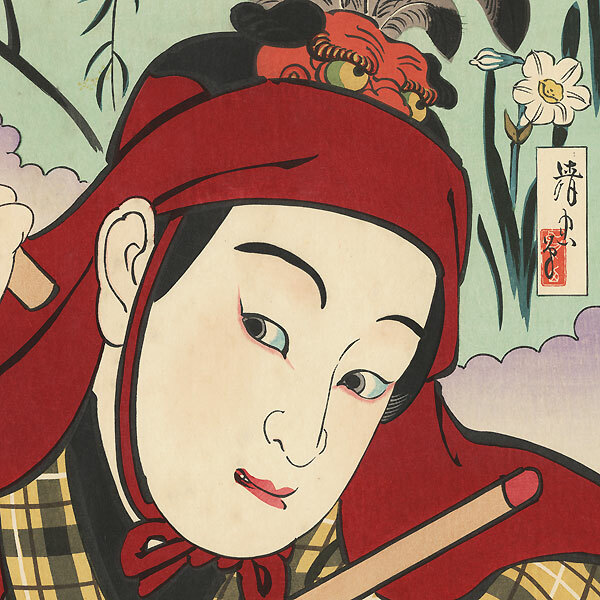 Actor Portraits by Torii Kiyotada VII - Dramatic shin-hanga kabuki portrait by the renowned artist Torii Kiyotada VII. These lively, colorful images capture the mood and intensity of each actor in his role, from intimate and expressive close-ups to full figures in atmospheric settings. These terrific designs are beautifully drawn with a wide variety of line work, ranging from bold calligraphic strokes to delicate details. Many include additional deluxe embellishments such as burnishing and embossing. 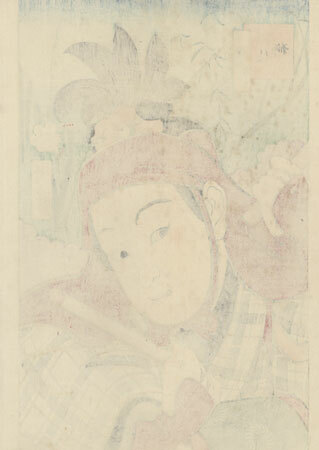 This series is the last great work by Kiyotada VII before his death in 1941. 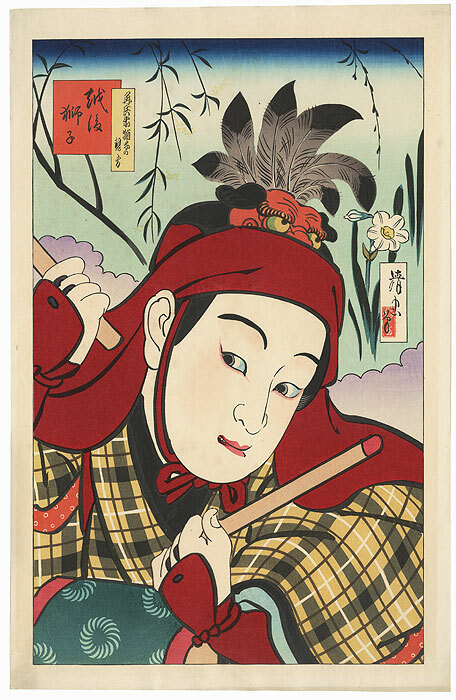 A rare and desirable actor portrait by Kiyotada and a great choice for a collector interested in Japanese theater. Special details - Embossing on the plaid kimono, burnishing on the black collar, the black trim on the sleeve, and the black areas of the headdress. Image Size - Page size 17 5/8" x 11 1/4"
Condition - This print with excellent color and detail as shown. Slight toning and soiling, a few spots, a few creases at edges. Please see photos for details. Good overall.